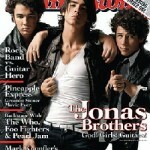 Always curios what the Jonas Brothers mom must be thinking these days as her boys deal with megastardom? Turns out she is conceiving about some of the same things we “regular” moms are – how to keep the clan close, which battles to wage with the kids and which to blank out and so on. Denise Jones is set to speak at an iMom event at a Brooklyn school on Friday, Oct. 23. The nonprofit organization iMom provides support for moms in school and online. The organization has monthly events called iMom Morning, at 350 public schools across the nation.